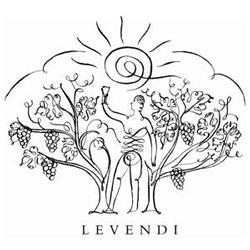 Levendi is a family owned, boutique winery located in Napa Valley, California. The Gianulias family has a strong Greek tradition of private winemaking dating back for centuries. Since 1926, on American and Napa Valley soil, they have propagated, refined and developed special handcrafted vintages to share with family and friends. Winemaker Alison Green Doran has brought vitality and excitement to the development of each vintage. The result of her labors is embodied in the exquisite taste and velvety feel our wines deliver glass after glass. A testament to Alison's dedication to the vineyards, to the fruit and to her passion for the perfect pour. To join the wine club, visit www.levendiestates.com or call 877-538-3634. Get Exclusive Access to Levendi Wines! When you appreciate Levendi wines as much as we do, you deserve special access to all the best Levendi has to offer. That's why we provide special member benefits to those who join our wine club and want to taste the best of Levendi, vintage after wonderful vintage. * Two different bottles of the current Levendi vintage. * A 20% discount on all current and future online purchases. * Immediate notification of all new Levendi wine releases. * An invitation to all special Levendi events. * Pre-Release opportunities of special wines and vintages. Please visit www.levendiwinery.com to learn more!